The Egypt Sustainable Energy Financing Facility (EgyptSEFF), a pilot programme that on-lent money to small and large enterprises via the National Bank of Egypt (NBE), has recognised the best projects to highlight the successful completion of the programme. The awards were presented today to 11 projects at an event in Cairo hosted by NBE in its headquarters. Representatives of NBE and the European Bank for Reconstruction and Development (EBRD) attended the event as well as awarded companies and their NBE relationship managers. 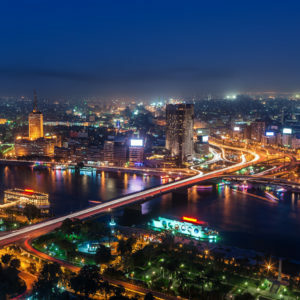 The EBRD launched EgyptSEFF in December 2014 and the programme became its first credit line fully dedicated to energy efficiency and renewable energy investment in Egypt. A US$ 30 million loan, with NBE as partner, served as a pilot project before launching the larger programme. The EgyptSEFF portfolio included projects covering a wide range of energy-intensive sectors, including agribusiness, glass, chemicals, plastics, paper and energy generation. The results demonstrated the vast potential for energy efficiency, with a tangible positive impact on the environment, as the projects will save 566 GWh of energy and reduce CO2 emissions by 93,000 tonnes annually.